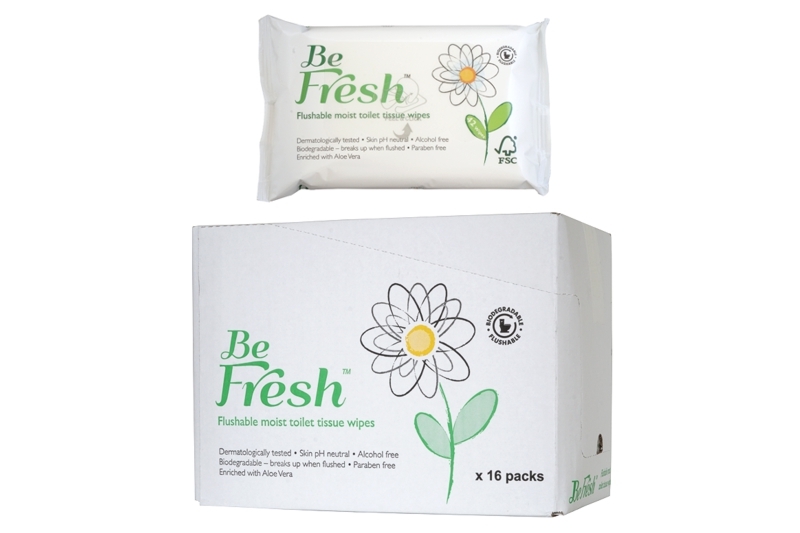 The wipes are biodegradable and break up when flushed. The material is FSC paper from responsible sources. 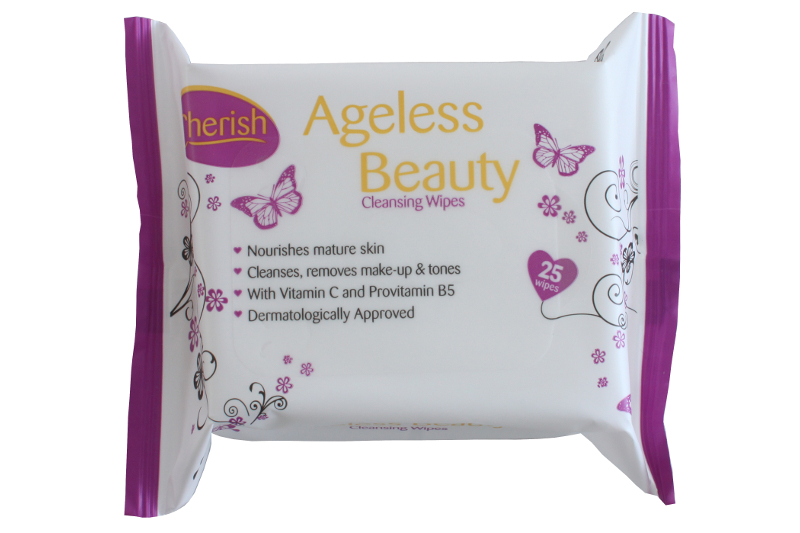 They are gentle wipes with a light fresh fragrance. They are also gynaecologically approved, dermatologically approved, skin pH neutral, alcohol and paraben free. 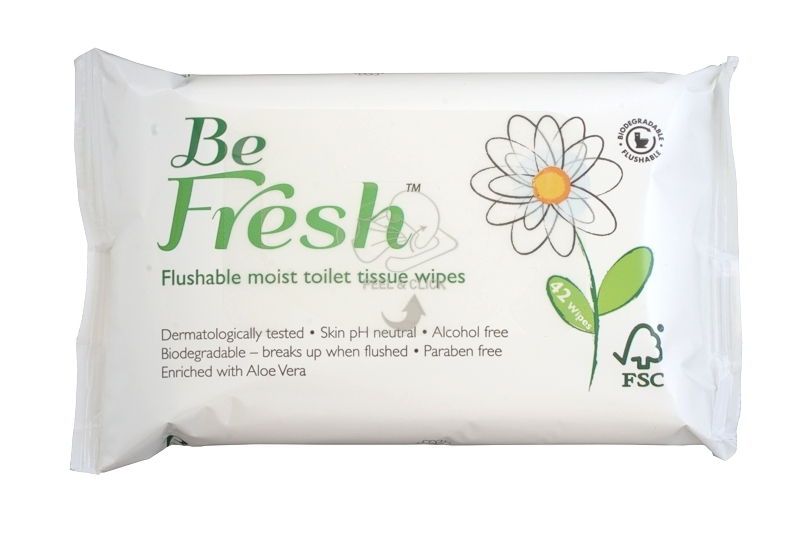 These 'Be Fresh' wipes are flushable (can be flushed one at a time) and biodegradable, skin pH tested, alcohol free and enriched with aloe vera. Packet features a new 'Peel & Click' resealable label. 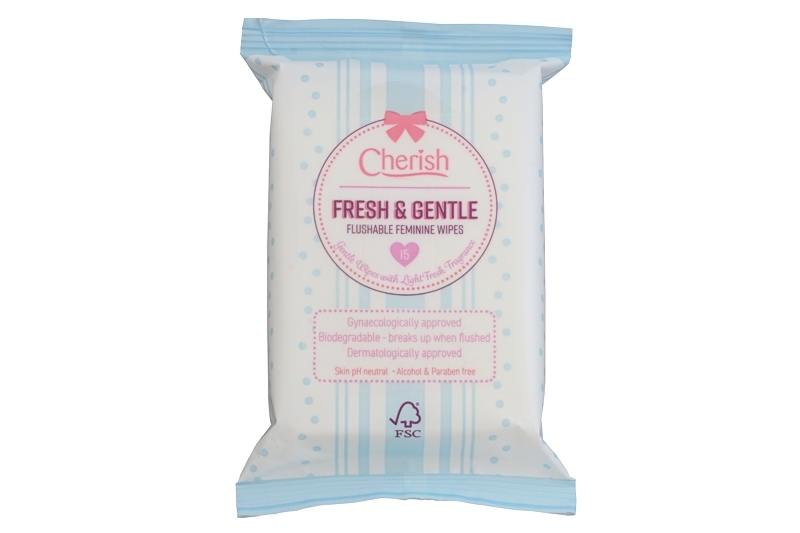 Cherish Deodorant Wipes are formulated to leave your skin feeling cool and invigorated. 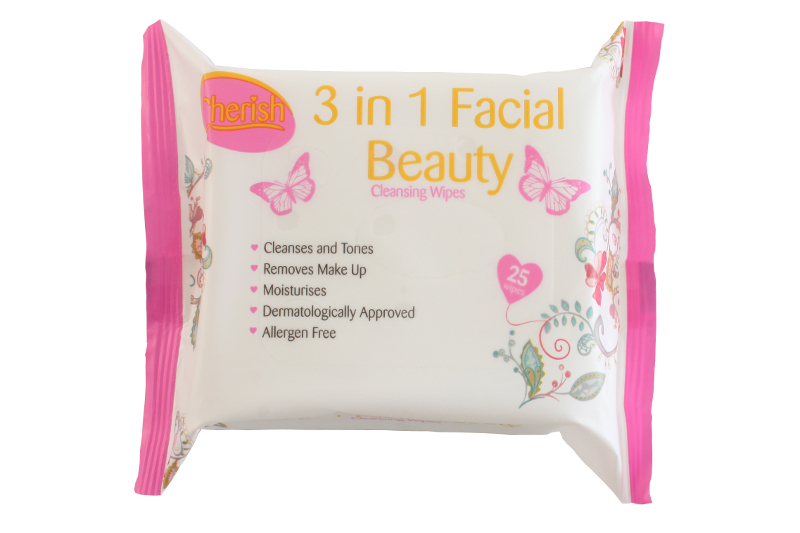 The wipes have a pleasant, fresh fragrance and contain added moisturisers to leave your skin feeling soft and clean. The handy 20 wipe pack is convenient for everyday use and has been designed to complement your daily anti-perspirant whilst away from your home, at work, in the car or on holiday. 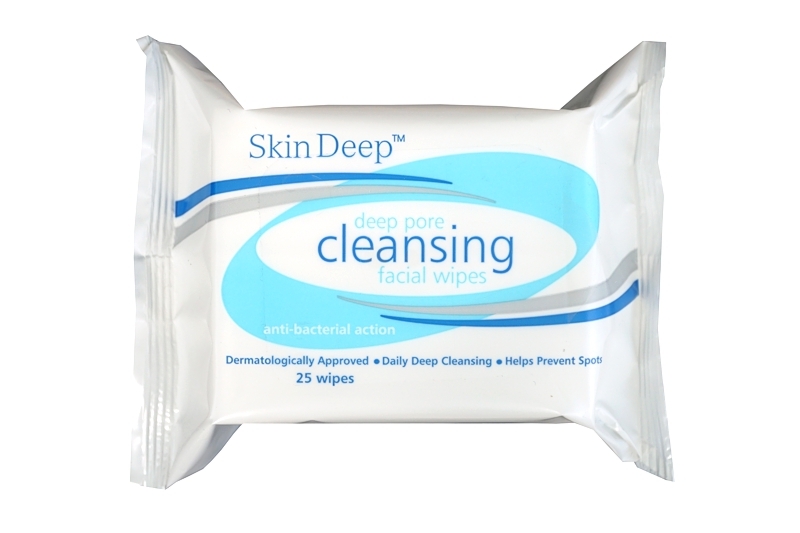 Hand and Body Sanitising Wipes. Ideal for use when soap and water are not readily available. 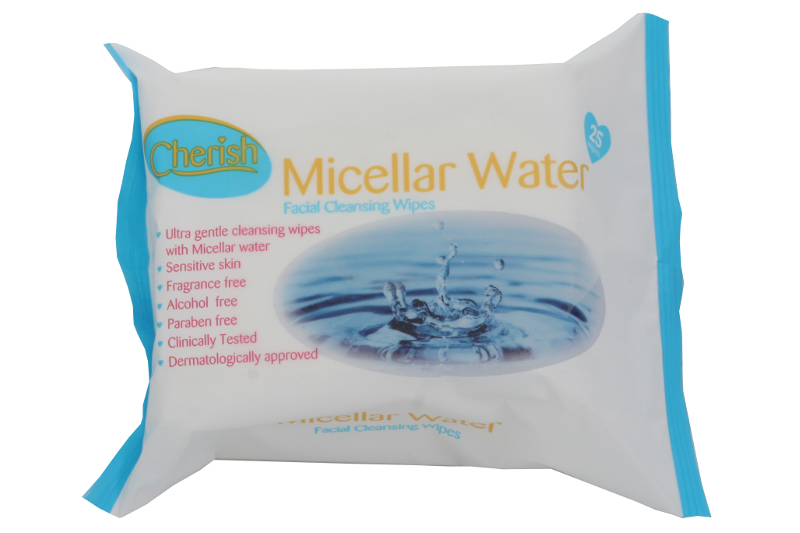 These ultra gentle Micellar water wipes have been formulated for use on sensitive skin. They remove impurities and make-up, leaving the skin cleansed, toned and moisturised. Fragrance free, alcohol free, hypoallergenic and dermatologically approved. 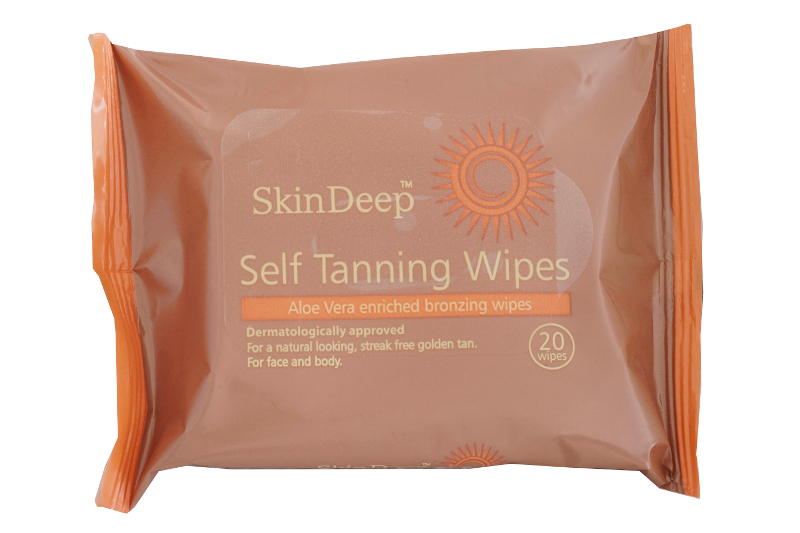 Our extremely popular Skin Deep Self-Tanning wipes have been designed to give you a natural looking tan all year round without sunbathing. The formulation contains the active ingredient DHA which reacts with the skin's proteins to give a natural bronze colour which will appear in approximately 3 hours and can last for several days. They have the added benefit of moisturising Aloe Vera. Sold in a case of 36 boxes per case - 100 sheets per box, 2 ply - Interfolded 195 x 215mm.